The media bods at QPR are not happy bunnies at the moment after a photograph of goalkeeper Julio Cesar decked out head-to-toe in Chelsea colours was circulated yesterday. 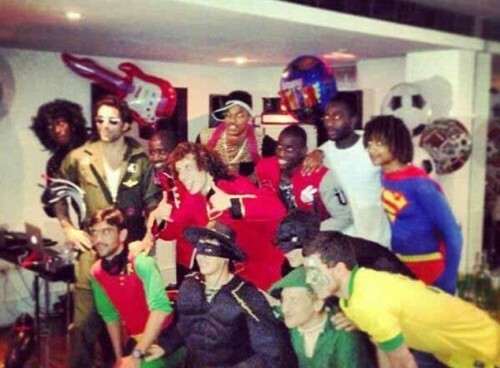 It won’t surprise you to learn that it’s all completely innocuous, as Cesar and his wife Susanna Werner were merely attending good friend David Luiz’s fancy dress birthday party dressed as David Luiz, while the man himself – along with good buddy Ramires – came as Chelsea pensioners. “The club is aware of an image of Julio Cesar circulating on social networking feeds. “I would like to clarify that last night I attended David Luiz’s fancy dress birthday party and, as a joke for my friend, my family and I dressed as him. Quel est le probleme QPR? Why you so mad? And a thoroughly good time was had by all, with lashings and lashings of ginger beer. Belgium’s FA should also do something about this heresy and have him exiled! Why are QPR and their fans mad? Can you imagine Rooney in a Man City kit or Gerrard in an Everton one? Sorry but where does it say qpr are mad or the like. For the sake of saving face with the fans by issuing g a statement by player. There is no fine or ban for God’s sake. If qpr did not react the fans would bbq down there necks. Could you imagine the fracas if a utd player was I spotted I’m a Liverpool jersey or arsenal player with spurs jersey. The daily mail started this and it’s just poor jjournalism but then again everyone has a comment on this. I could not give two flying fs to be honest! @ SL: Yeah I can. Gerrard wore Everton kits all the time as a kid. But like Chris tried tot say in French, what’s the big deal? 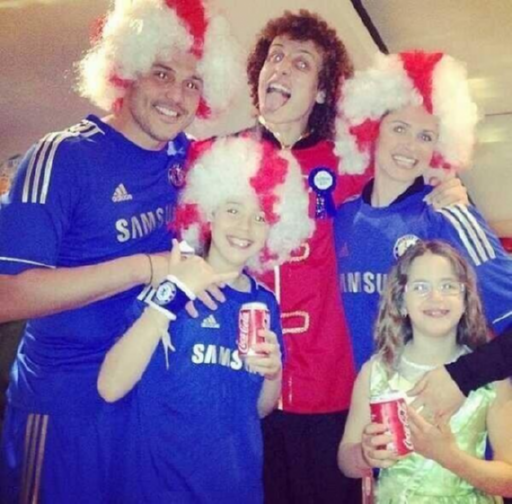 Has Luiz turned up as one of The Libertines?